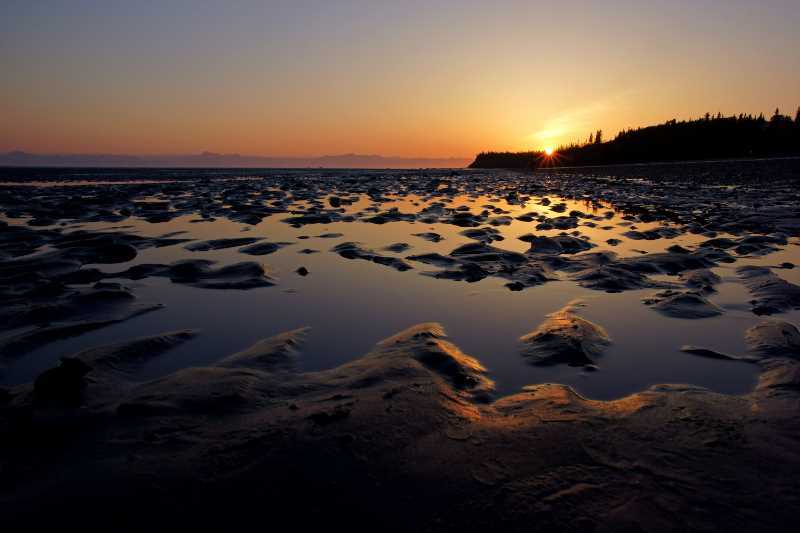 The Kenai Peninsula has been called Alaska’s Playground. There are mountains and beaches and fishing villages on this peninsula, all just a few hours away from Anchorage, and all easily accessible by road. And what a road it is! The Sterling Highway connects Homer and Soldotna with the Seward Highway, which in turn connects to Seward and Anchorage. It has beautiful mountainous parts, and more subdued stretches covering flatter landscapes. And it will probably be a big part of your Alaska road-trip vacation. 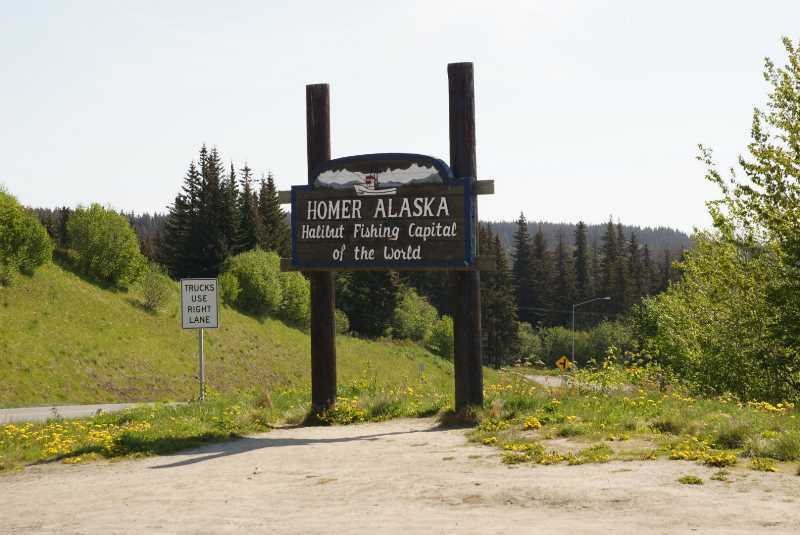 The Sterling Highway is part of Alaska Highway 1 – but the number and the name don’t directly correspond. Highway 1 begins way, way, way up in Tok, Alaska. From Tok to Anchorage, it’s the Glenn Highway, from Anchorage to Highway 9 (north of Seward) it’s the Seward Highway, and from the Highway 9 junction south, it’s the Sterling Highway. Don’t worry too much about the numbers — most locals only use the names, anyhow. I spent part of Day 2, and almost all of Day 3, on the Sterling Highway. And the truth is, I probably should have allowed some more time – especially in Homer. But, I spent enough time here to get a good taste of what the road offers. Starting at Tern Lake (where Highway 1 turns from the Seward Highway into the Sterling Highway), the road curves through some impressive mountain landscapes. On this part of the road, you’re in the Kenai Mountains. The best place to enjoy a view of the mountains is at Cooper Landing. 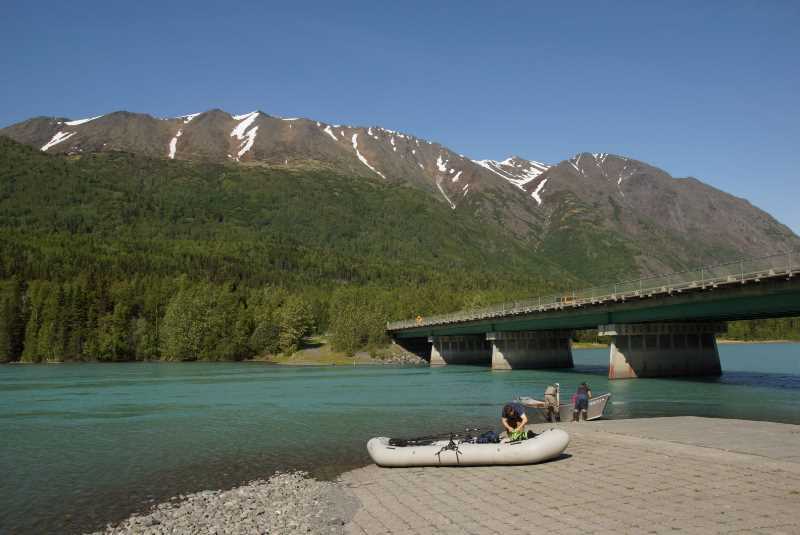 Here, Highway 1 crosses the Kenai River, at the end of Kenai Lake. You can tell by the color of the water that glaciers are feeding the river. There are a handful of businesses at Cooper Landing, and even a few places to stay overnight. If you’re here for salmon spawning season, you may also want to check out an excellent bear-viewing area at Russian River. I checked it out on my trip up the Sterling, but I was a few weeks early and saw no bears, and maybe one salmon. From Cooper Landing, the road heads west, and there isn’t much in the way of development until you get to the town of Sterling, and then Soldotna. I spent night #2 in Soldotna, and found that the motels there have reasonable prices — at least, reasonable for Alaska. At Soldotna, I’d suggest detouring off the Sterling Highway to check out the town of Kenai, its historic Russian Orthodox church, and Kenai Beach — where I caught a great sunset around 11 p.m.
… to a secondary road that’s closer to the coast. Unfortunately, though, Kalifornsky Beach Road doesn’t reveal many views of the Cook Inlet, and the only public-access beach I found, near the Kasilof River, wasn’t very developed. 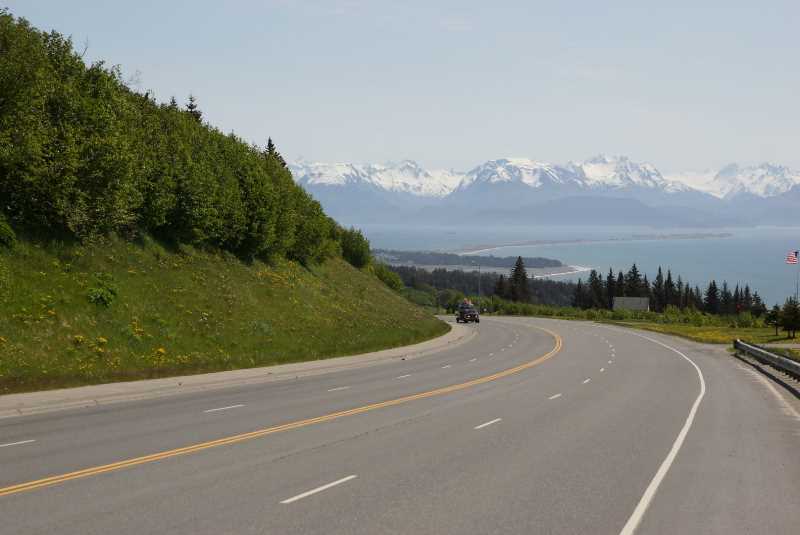 South of Kasilof, Sterling Highway returns to the coastline, with occasional views across the Cook Inlet. 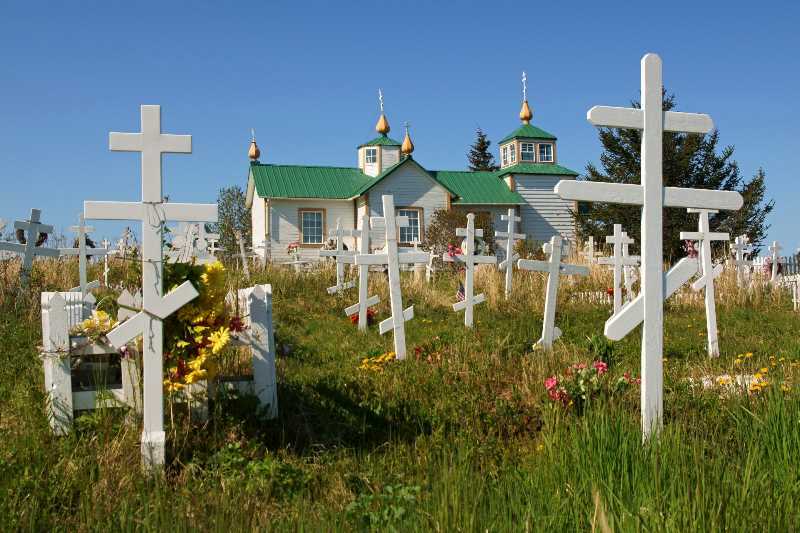 You’ll find another historic Russian Orthodox church at Ninilchik. The Holy Transfiguration of Our Lord Chapel was built in 1901. The town itself was settled in 1846. From here south, the Sterling Highway is close to the coast, but it’s never directly on the edge. If you watch the Drivelapse video below, you’ll notice that you never get to see the really great views that you might expect. Those views are there, but they are intermittent, and private property between the road and the coast gets in the way. There is one exception, though. 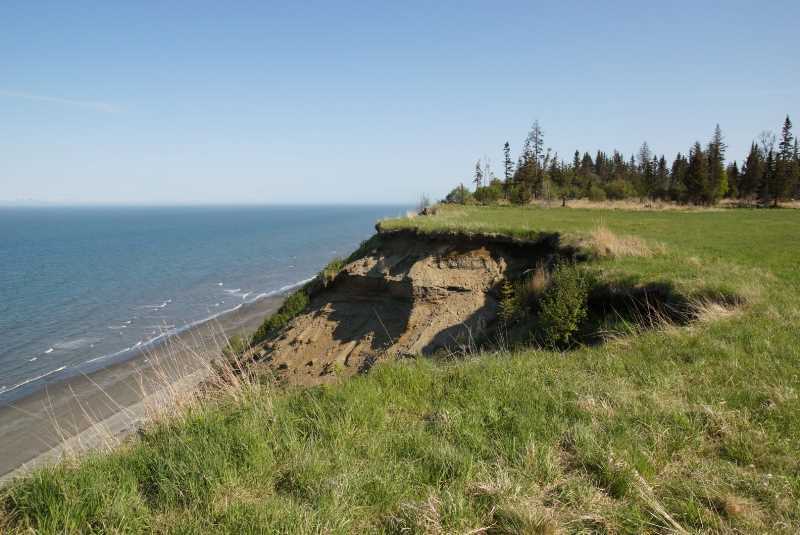 … leading to the edge of a cliff that hovers over the Cook Inlet. There was a ‘for sale’ sign posted, but I hope it doesn’t sell anytime soon, because it’s a rare chance to get this close to the water. 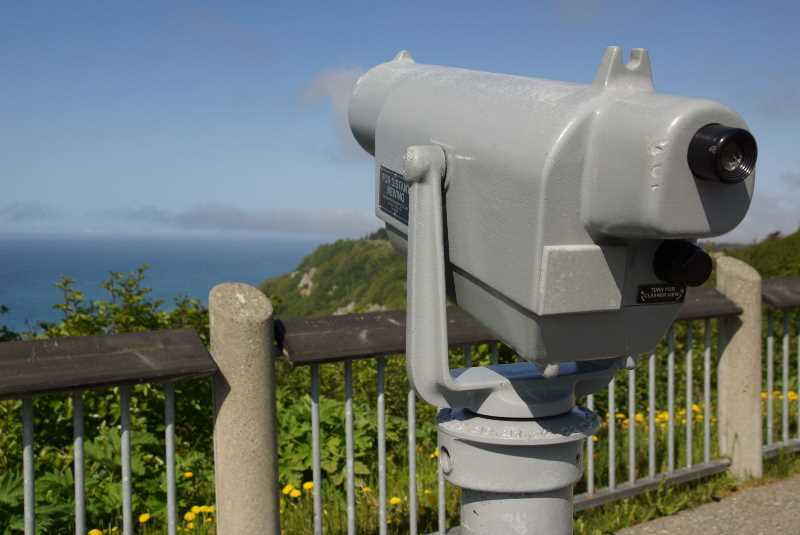 When you get to Anchor Point, a community just north of Homer, be sure to watch for an important landmark. 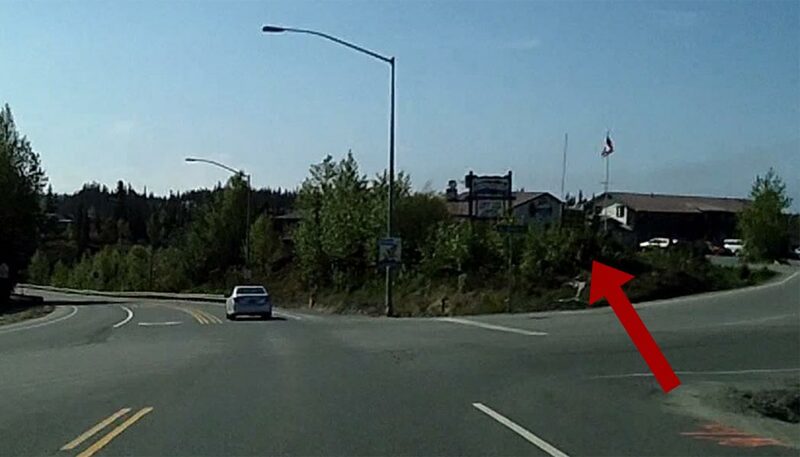 Here, Highway 1 becomes the most westerly highway in North America. 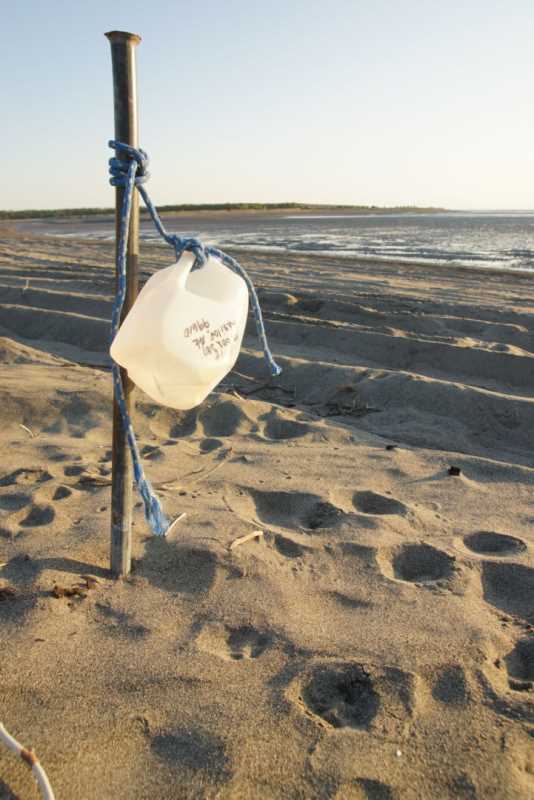 You’ll find a sign marking the spot, near the Anchor Point Inn. Unfortunately, I missed it. From the dashcam, I sort-of caught a picture of it, but you can’t really see it. I’ll get it the next time. 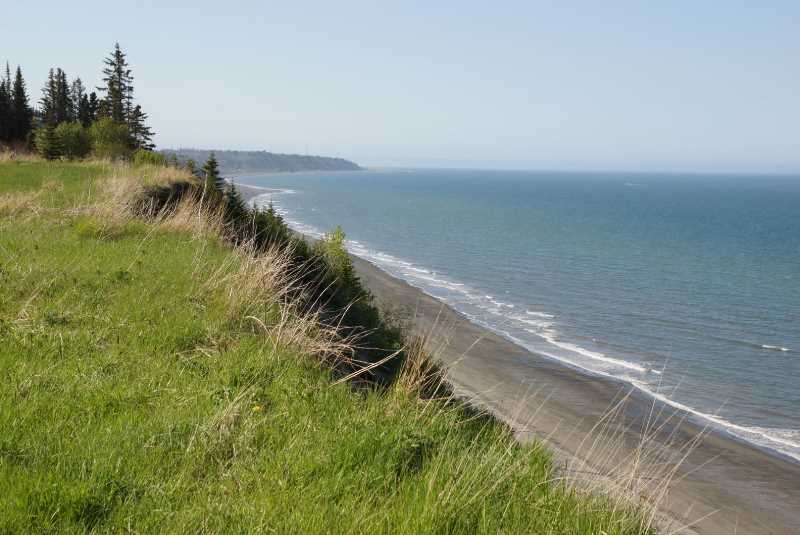 …that offers an excellent view of the Cook Inlet, and the Homer Spit. Speaking of the Spit — you can kind-of see it in this photo. 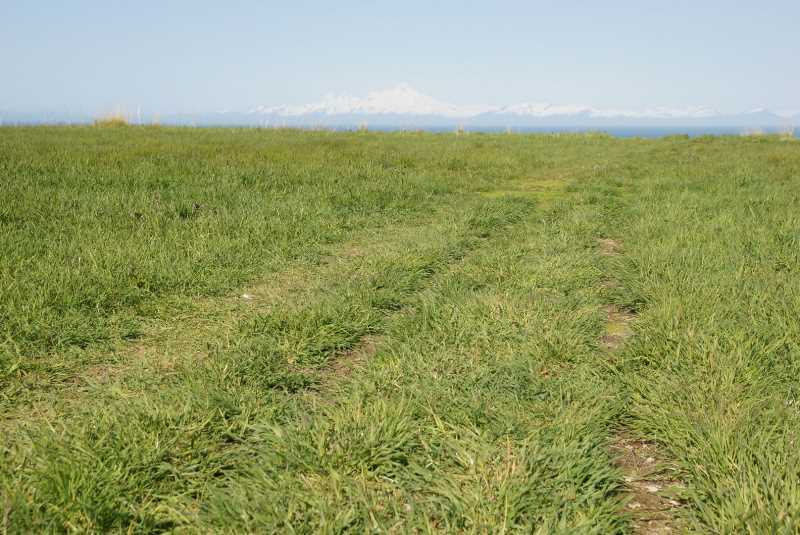 It’s an elevated stretch of land that sticks out into Kachemak Bay. Mountains and beautiful water surround it, and various t-shirt shops, restaurants, and fishing charters are all crowded along the side of the road. Alaska Route 1, and Sterling Highway, officially end at the end of the spit. I’ll show you more of Homer and the Spit on a separate page. The Sterling Highway has some scenic parts, and some sorta-scenic parts. Of course, that’s comparing those parts to other roads in Alaska. If you’re comparing it to roads in Kansas, every inch of the Sterling is mind-blowing. If you don’t want to travel by plane or boat, and you want to see all of the Kenai Peninsula, this is your road. Just plan the appropriate amount of time to explore it all, and appreciate everything along the way.